This morning Toronto-based home care platform AlayaCare announced that it scored $13.8 million in a Series B funding round led by inovia capital, with participation from Chrysalis and Fonds Innovexport. Focused on providing home healthcare workers and clients with tools, the company’s software has several different platforms including a mobile app and clinical documentation tool. The company’s app lets caregivers schedule and clinically document each patient visit. It also deals with practical matters of the job like billing and payroll. The system has a GPS, which means it can give an accurate report of when the healthcare worker comes to the house and leaves. The Canadian company also has a clinical documentation tool that has the ability to integrate with various EHRs. On the patient side, the platform has a tool for individuals to monitor their own vitals. The platform can also give clients coaching and feedback even if the clinician isn’t there. First launched in 2014, the platform operates in Canada, the US, and Australia. Home healthcare has been a hot topic in digital health as the American population continues to gray; according to the Census Bureau one in every five Americans will be at retirement age by 2030. As far back as 2010, home healthcare CEOs were talking about implementing mobile solutions. 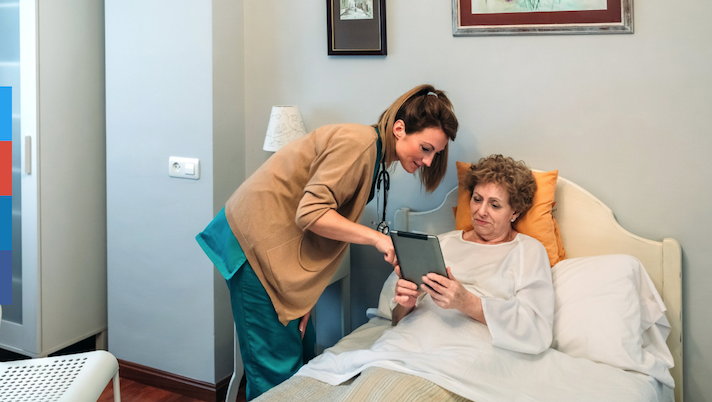 Last year CellTrack, a platform that is focused on connecting home caregivers and integrating documentation into the EHR, raised $11 million. At the time of the funding it reported having more than 200 customers and offering a device-agnostic care delivery management platform that connects home caregivers with their home offices.